Here are 2018 Interior Design Trends to Try This Year! Using copper in your bathroom and kitchen started almost five years ago. This red metal is undeniably stunning, but, people will soon be selective about where they will use this metal. Copper will be replaced with brass, another non-ferrous metal with a dull gold colour. 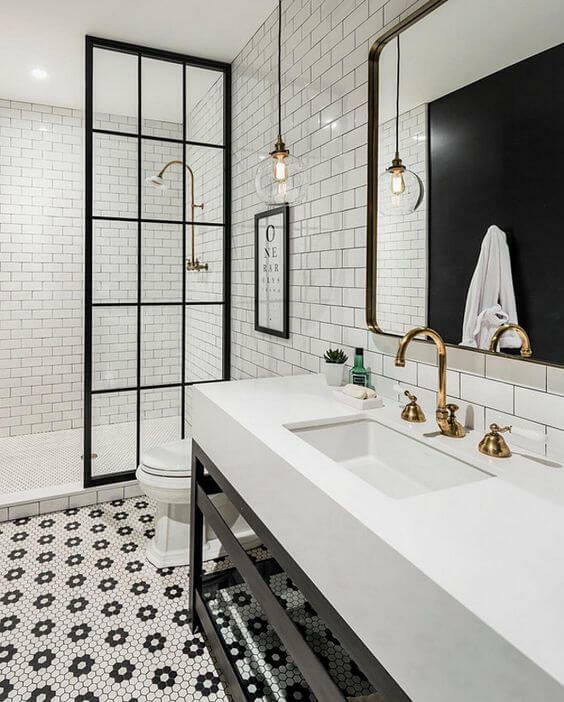 Unlike silver metals, brass is warm and will come off as a rich design element in your black and white bathroom and kitchen. This is a cool update and will make your timeless interiors look fad, not dated or boring. Superdraft tip: Not a fan of warm metals like brass? Go for silver fixtures. Its shiny beauty is classic. 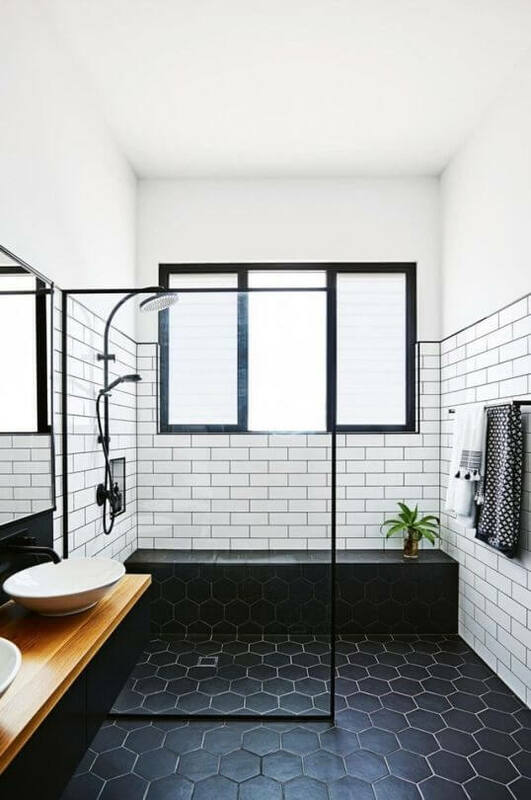 Aside from metals, matte black is also trending in bathrooms and kitchens. This statement piece is versatile—it fits most contemporary interiors and complements a wide variety of materials. Desaturated colours come from mixing a colour of the spectrum with white. This year, we’ll see a lot of mint and millennial pink in our homes. 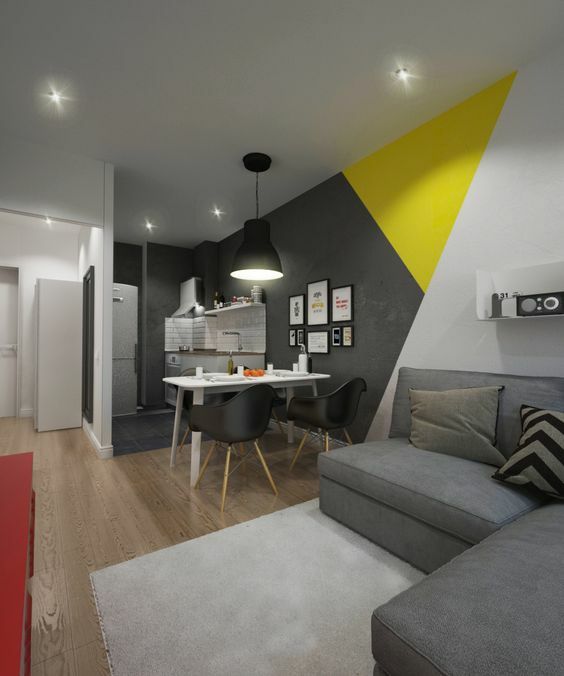 These colours will put the funky 80’s vibe in our modern homes. Pair mint with luxury furniture and surfaces. 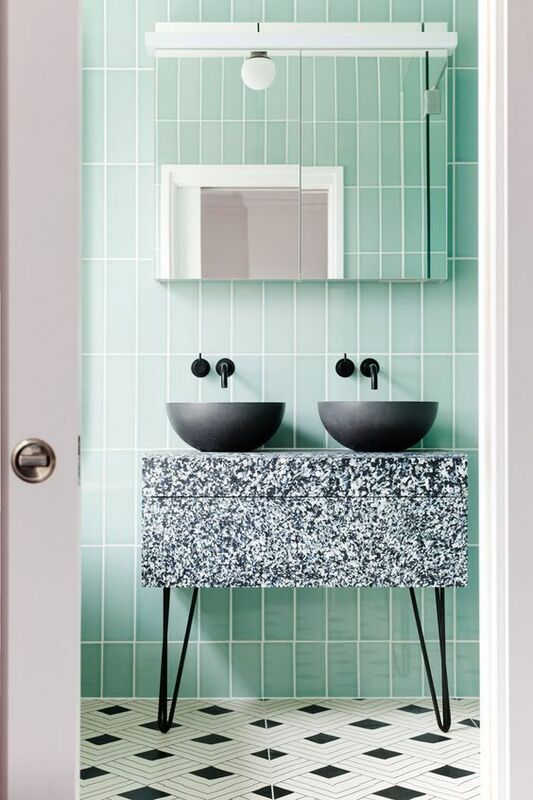 The matte black sinks, speckled cabinet, patterned floor tiles, and mint wall tiles in the bathroom above looks retro and sophisticated at the same time. 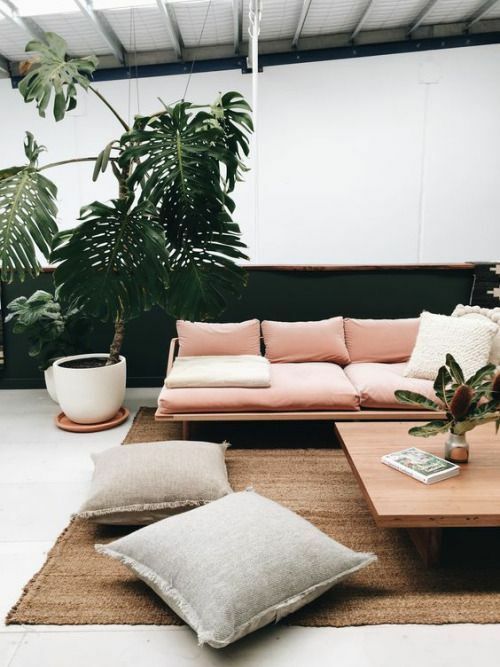 Superdraft tip: Millennial pink and mint look best with deep and rich earth tones such as terracotta, brown, olive, burgundy, teal, and bright blues, and oranges. Anything that doesn’t look mass manufactured or machined is a must-have this year. We’ll see a lot of handcrafted wall hangings and luminaires. 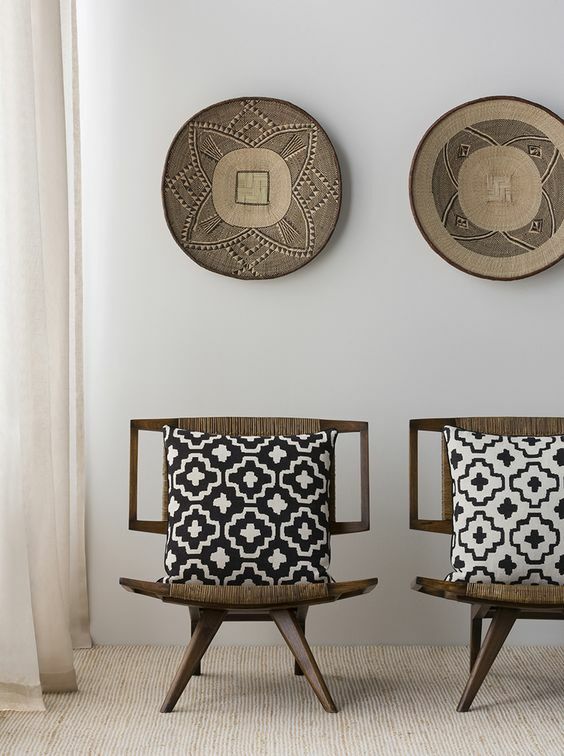 Carpets, curtains, and pillowcases with tribal and exotic patterns will be hot in the market. Pottery will also become a popular display item. 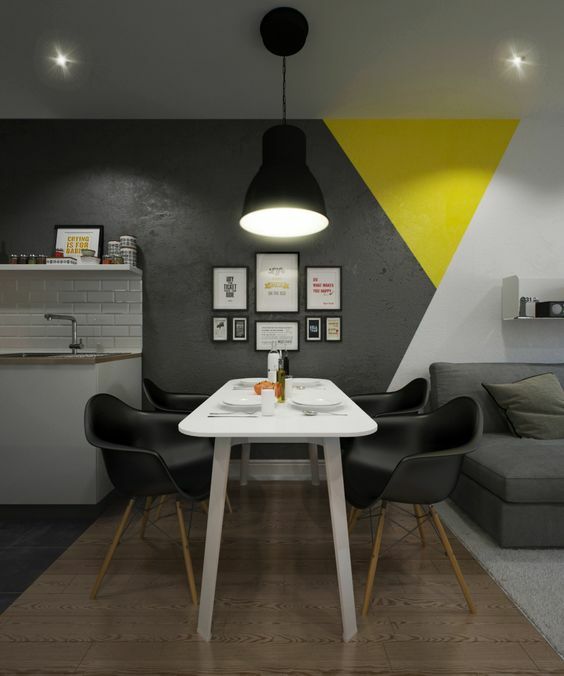 The retro style is alive again, hence, putting up an accent wall will be big just like in the ’80s and ’90s. 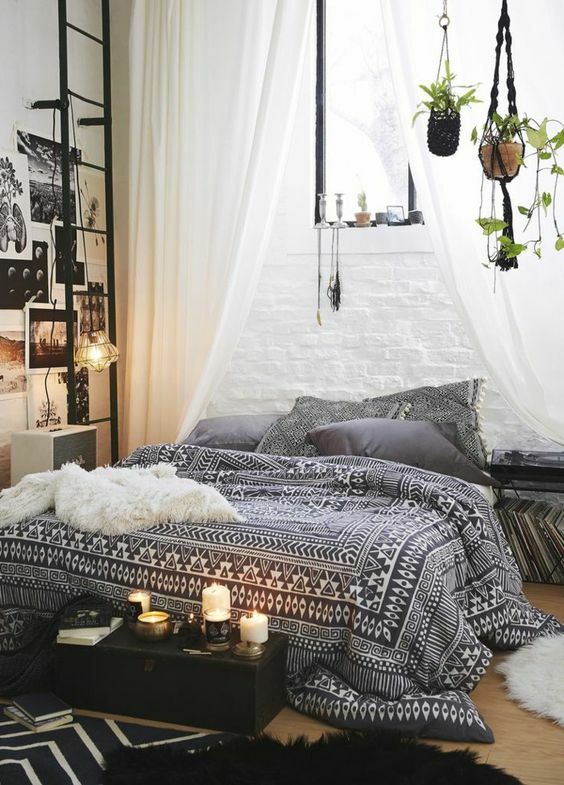 It is an instant way to decorate a room. Florals and geometric designs will be the crowd’s choice. 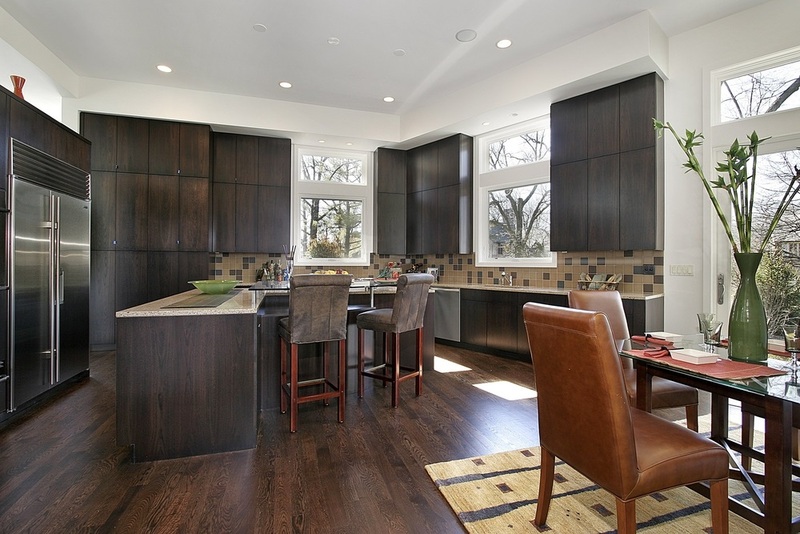 Designs vary and will depend on the style (and personality) of the homeowner. 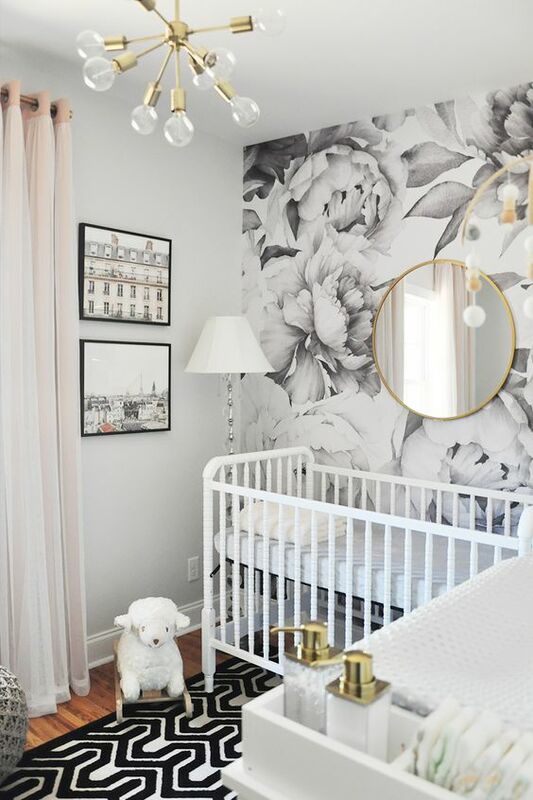 You can also use paint when there’s no wallpaper that matches your style. Hire good tradies who can help you with this project. Feel free to DIY when you’re confident that you can nail this project. Paco Jaanson, a world renown bathroom product designer created these floral basins in the spring of 2017. 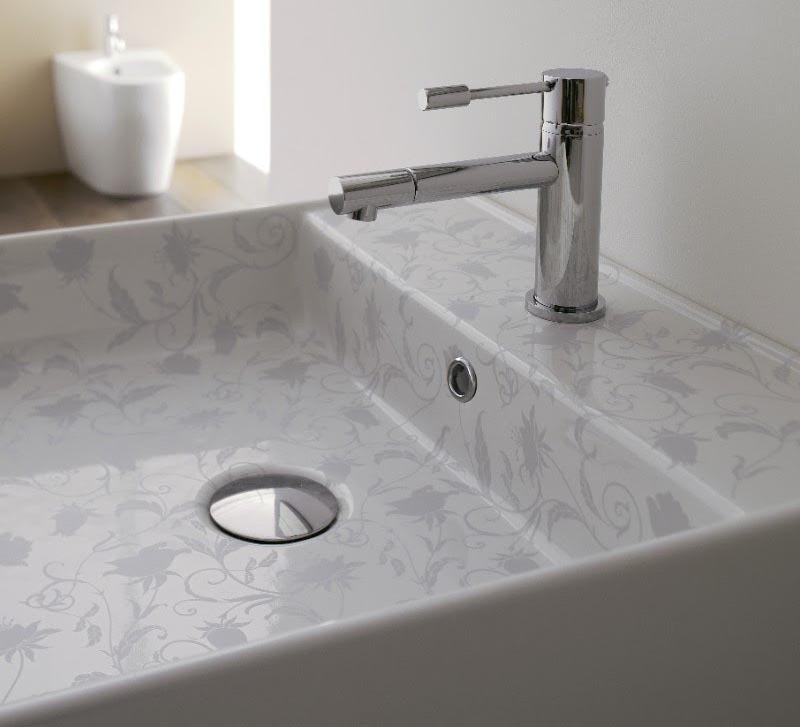 It possesses a strong retro appeal, perfect for bathrooms that need a little excitement. 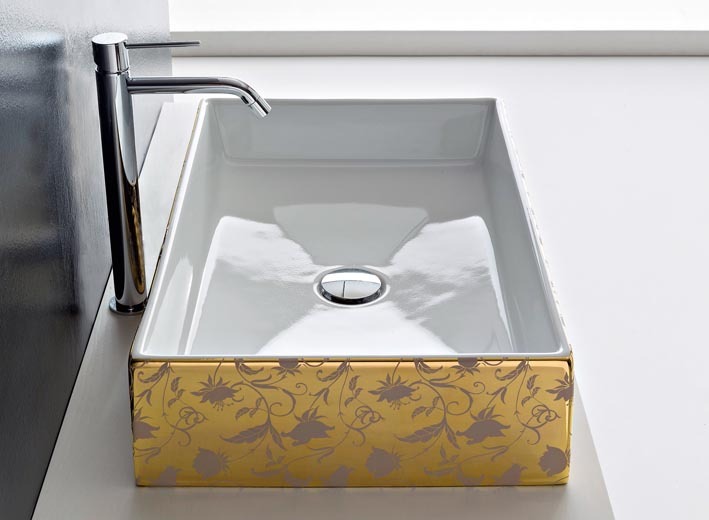 We personally like the sink with grey flower prints and the ones with metallic sides. Several building materials presented at the International Exhibition of Ceramic Tile and Bathroom Furnishings (CERSAIE) in Italy back in September 2017 have antibacterial properties. The event featured an antimicrobial treatment for kitchen and bathroom tiles which can reduce germs and bacteria on surfaces in the long run. Other tile products in the convention boasted their ability to eliminate chemicals in the air, thus improving indoor air quality. Soon, your kitchen countertop will get rid of Salmonella from the raw chicken you prepared. Dark wood will make a comeback and it will rock the floors, walls, and furniture of 2018 homes. Watch out for Rosewood and Walnut. We also see the rise of Mango Wood, a sustainable alternative to creating timber furniture. 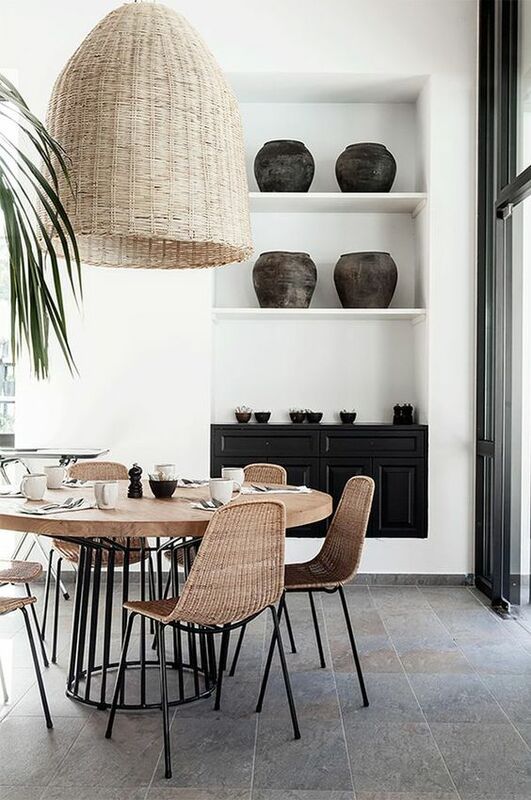 Aussie homeowners will also find the beauty of Shou Sugi Ban (焼杉板), the art of charring a wood surface until it renders a deep charcoal-black surface. It makes the wood weather-proof, fit for Australia’s weather. As you can see, this year’s trends slowly move away from the Scandinavian design which dominated our homes for too long. We’ll see more homes that will stand out because of the interior’s imperfections. Take the featured dining area above. 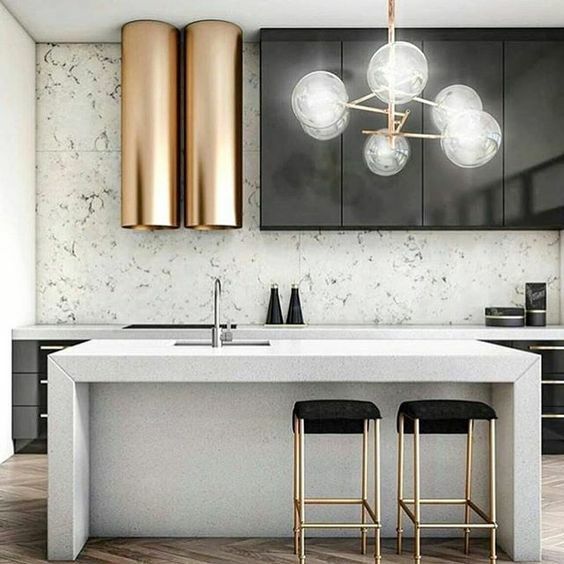 This unique interior wouldn’t transpire if the homeowner or designer went with the traditional dining look. It’s also cheaper to do because you are not required to buy an entire set. Go to yard sales and purchase second-hand pieces. The same principle applies in the bedroom. Do not be afraid to express yourself in the design. Aussies love to entertain people. 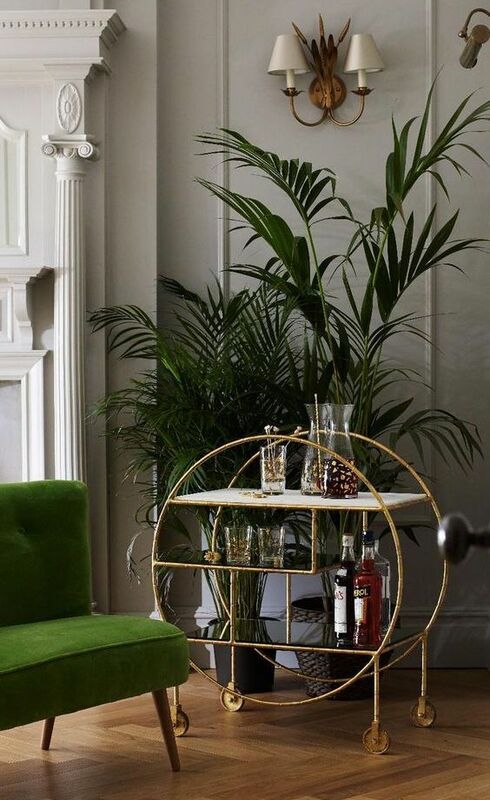 A tiny and stylish drinking cart like the one below will help serve drink and booze to your visitors. Every year, new materials, finishes, and ideas come up to upgrade our home interiors. If you’re willing to try something new, consider these 2018 interior design trends. 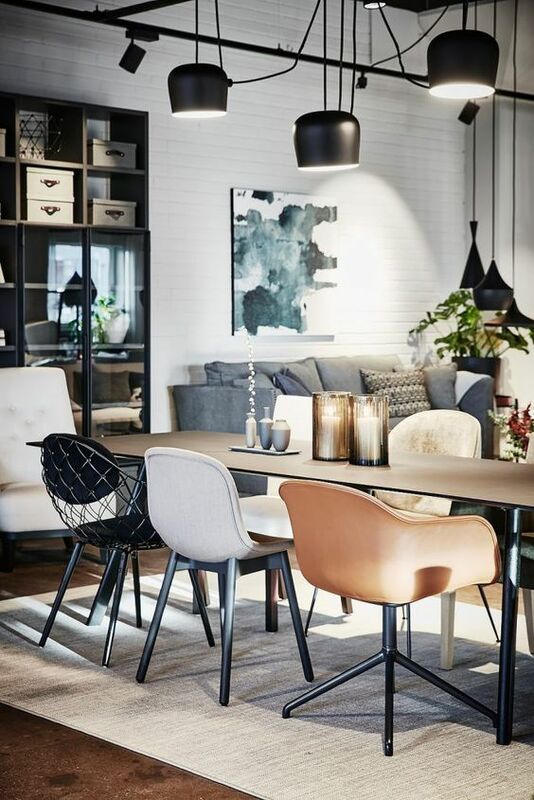 We’re happy to help you update your home or office’s interior design.Tell us—did you fancy any of these trends and want them in your home? Tell us using the form above.